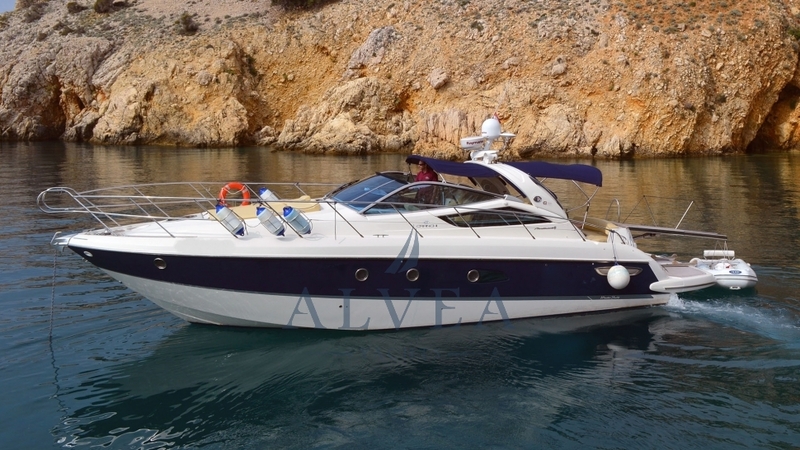 REF 766: This Cranchi Mediterranee 43 Soft Top has been maintained in excellent condition. The inspiring design and the performance of this Cranchi Mediterranee 43 ST motor boat is more than exquisite. Its project emerges from a Research Study Center that has been massively expanded, and now a strong staff of designers, architects and engineers are able to propose cutting edge and more complete solutions. Powered by Volvo Penta D6-435-IPS - 2 X 435HP with low operating hours. You are welcome to contact Alvea Yachts Brokerage for additional information about this stylish and elegant Cranchi Mediterranee 43 ST motor yacht.